Former Chicago Bears standout Devin Hester can now officially call himself the greatest of all time. The Atlanta Falcons wide receiver set the NFL record for touchdown returns Thursday, returning a punt 62 yards in the second quarter of Thursday's game versus the Tampa Bay Buccaneers. The 20th touchdown return of his career breaks the record he shared with Deion Sanders. Hester received a flag for high-stepping into the endzone in homage to Sanders, who has served as a mentor and an idol for the Florida native. Sanders was in the stadium for the game and witnessed the record-breaking return. 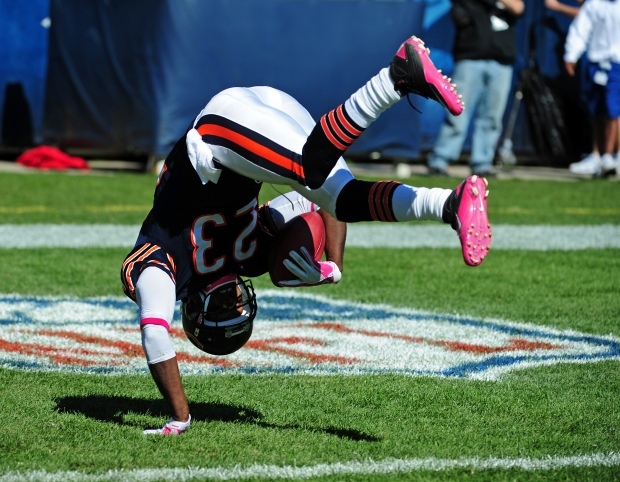 Hester tied Sanders' record last year in the Bears game versus the Washington Redskins, returning a punt 81 yards.